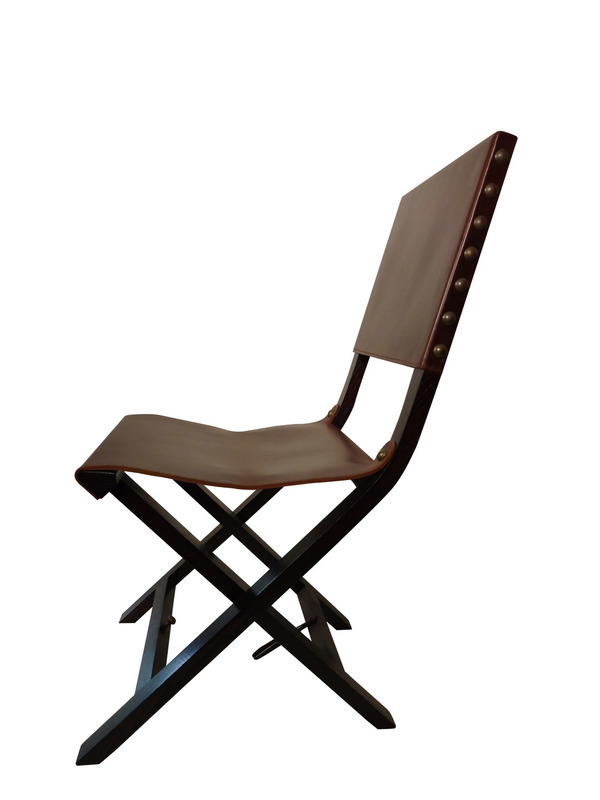 Camp Chair, Folding: Civil War inspired Folding Leather Camp Chair, 8 oz. Italian Chocolate Brown Saddle Leather, Antique Brass Nail Head details, Stitched Seat, Condition consistent with age and wear of the piece. Sold as is. Entire collection sold at reduced cost, fill out form below to get collection price. Condition- Good, minor surface markings, varies between pieces. Complete form below for additional photographs of items condition.